Afikpo Town Highlights: Second largest town in Ebonyi State. Known internationally for its well-documented ceremonial masks (“Afikpo Masks”). Hometown of Nigeria’s first Governor of the Easter Region, Dr. Akanu Ibiam. Location of a Federal Polytechnic. Home to top artists and dance groups including multiple award winners, Nkwa Umuagbogho Dance Group. 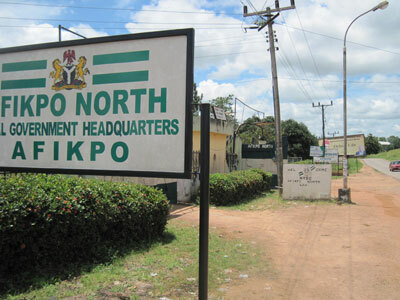 Afikpo is the second largest town in Ebonyi State and the headquarters of Afikpo North Local Government Area. 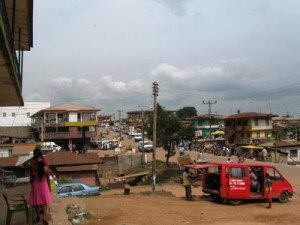 Twenty-two villages of various sizes make up present-day Afikpo. These include Ozizza, Ohaisu, Nkpoghoro and Itim. The old Afikpo Province once covered areas in Unwana, Edda, Amaseri, and Akpoha. Following the creation of more local governments in Ebonyi State, the administrative boundaries of the old Afikpo Province was redrawn and its geographic size reduced. Afikpo is the birthplace of several accomplished Nigerian men and women. A notable example is the late Dr. Akanu Ibiam of Uwana, one of the first Igbo medical doctors and former Governor of the Eastern Region. 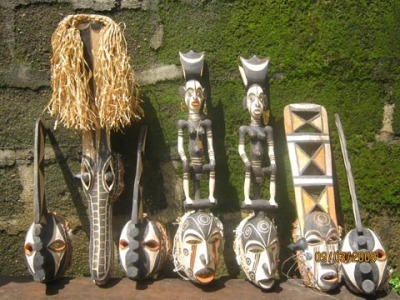 Afikpo is a mecca of ancient Igbo tradition and ceremonial (now antique) masks which have been carefully preserved by the state tourism board. Several archeological findings support the claim that Afikpo civilization existed as far back as the Neolithic age. Mainly farmers and traders, Afikpo is considered a major producer of agricultural products in Nigeria. These include yam, palm produce, maize, groundnut, plantain, banana, cassava, fruits and vegetables. The Akanu Ibiam Federal Polytechnic Uwana is located in Afikpo. So is the Mater Misericordia Specialist Hospital. Mater Misericordia Hospital School of Nursing and Midwifery was one of the first nursing schools established in Nigeria by Irish missionaries and Dr. Akanu Ibiam.